Can Theresa May deliver for Europe? 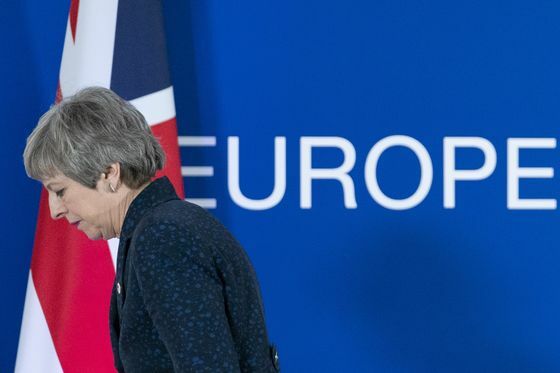 It was a question many European Union leaders gathered around the table were wondering last night as they tried to make sense of the cliff edge that Brexit has become, and an increasingly unpredictable prime minister across the English channel. Having failed twice to get her unpopular divorce over the line in Britain's Parliament, May hit up Europe for a three-month extension. After a fraught meeting in Brussels, they've given her two weeks. There's real concern in Europe that a longer delay could muddy the waters on coming European parliamentary elections. Even in giving a short period of grace to May, there are serious doubts she can deliver. French President Emmanuel Macron told his counterparts he thought there was a 10 percent chance of the deal passing. After speaking with May, he revised it down to 5 percent, one official said. In London a brutal fight is brewing. There are no guarantees staunch Brexit supporters can be cowed into agreeing to the terms of May's deal. Meanwhile, pro-EU ministers plan to confront May over her strategy of flirting seriously with crashing out of the bloc with no deal at all. Brussels is watching anxiously to see if May can pull off a miracle. The prime minister has held on for months, but looks increasingly to have lost control of her government, her party and the country. Courting votes | President Donald Trump's recognition of the contested Golan Heights as Israeli territory — a break with decades of U.S. policy — could help sway voters to Prime Minister Benjamin Netanyahu in what's expected to be a tough election next month. Trump’s embrace of Netanyahu, who may soon be indicted on corruption charges, has also helped endear him to conservative American Jews and evangelical Christians. 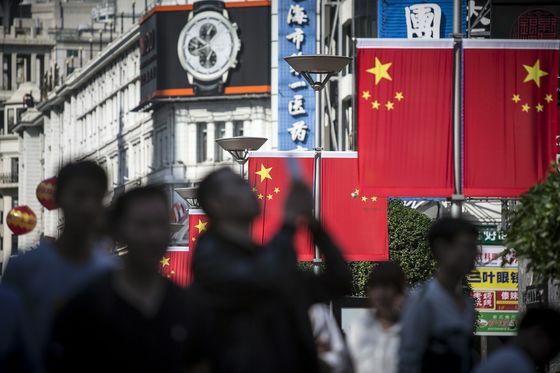 Low expectations | U.S. officials are downplaying the prospect of an imminent trade deal with China as Trump’s top negotiators head to Beijing for more talks next week. Vice Premier Liu He will then travel to Washington next month. As Saleha Mohsin and Jennifer Jacobs report, the goal is to reach an agreement in the days after Liu’s trip, potentially with a meeting between Trump and Chinese counterpart Xi Jinping at Mar-a-Lago. Front-runner challenge | No longer an insurgent, Bernie Sanders will be under pressure to score decisive victories in early contests for the U.S. Democratic presidential nomination or risk seeing his 2020 candidacy deflate. The Vermont senator, who lost to Hillary Clinton in 2016, will have to show he can win over women and minority voters as he faces a younger and more diverse crowd of competitors. Shutting up shop | North Korea withdrew from a liaison office it set up six months ago with South Korea that let them communicate around the clock, a blow to President Moon Jae-in’s policy of rapprochement. The decision comes weeks after a summit between Kim Jong Un and Trump broke down over when or how to lift sanctions squeezing North Korea’s economy. Bitter rivals | Thailand holds its first election on Sunday since a coup in 2014, a vote that pits backers of the military and royalist establishment against supporters of exiled former leader Thaksin Shinawatra. There will be a record number of candidates and parties, and the ballot could draw more than 50 million Thais to vote. Xi Jinping and Italian officials will sign a memorandum of understanding tomorrow as the country joins his trade and infrastructure program. Xi then travels on to France and Morocco. And finally... China's effort to boost domestic consumption and spur growth has resulted in something quite fun: a new four-day weekend. It was created by extending the traditional May Day holiday on May 1st, and caused some tourism stocks to rise. But it isn't all good news. The powerful State Council ruled that people will need to work the two Sundays before and after the holiday in order to make up for lost productivity.